All figures in this press release represent Adjusted  data, except where noted. Please refer to definitions and reconciliation between 2015 consolidated income statement and adjusted income statement provided in the Notes on page 14 and following of this press release. - Full-year 2015 adjusted revenue was Euro 17,414 million, up 13.4% (3.9% organic). - Adjusted recurring  operating income of Euro 2,432 million (14.0% of revenue), rose 16.4%. Adjusted profit from operations was Euro 1,734 million after a net charge of Euro (698) million for one-off items, of which Euro (654) million results from non-cash impairments related to the Silvercrest programme (see p.5). - Adjusted net income - Group share of Euro 1,482 million (Euro 3.55 per share), up 18.8% compared to Euro 1,248 million (Euro 3.00 per share) in 2014. 2015 adjusted net income included a post-tax capital gain of Euro 421 million (Euro 1.00 per share) from the sale of the residual stake in Ingenico Group. - Consolidated (non-adjusted) net income - Group share at Euro (424) million, or Euro (1.02) per share included a non-cash charge of Euro (2,485) million, before the impact of related deferred tax items, resulting from the large adverse change in fair value of the portfolio of currency derivatives used to hedge future cash flows (see Note 1 on page 14). - Safran generated Euro 974 million of free cash flow, amounting to 40% of adjusted recurring operating income and 31.6% higher than in 2014. - Net debt amounted to Euro 748 million at December 31, 2015, Euro 755 million lower than a year ago. - Civil aftermarket  was up 18.9% in USD terms driven by overhauls of recent CFM56 and GE90 engines in the context of a favourable environment for airline customers. - A dividend payment of Euro 1.38 per share (+15% year on year) will be proposed to the shareholders' vote at the Annual General Meeting on May 19, 2016 (to include the Euro 0.60 per share interim dividend payment paid in December 2015). 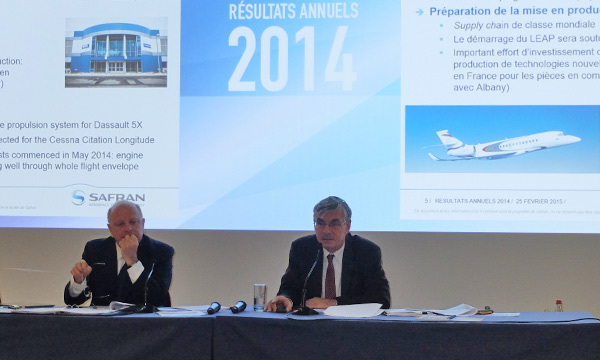 - Full-year 2016 guidance: Safran expects adjusted revenue to increase by a percentage in the low single digits and adjusted recurring operating income likely to increase by around 5% with a further increase in margin rate. Free cash flow should represent more than 40 % of adjusted recurring operating income. - CFM56 & LEAP: orders and commitments for 1,399 LEAP and 736 CFM56 engines were received in 2015 bringing the total CFM International (CFMI) order backlog to 13,252 engines (firm orders and commitments) at year end. After a good start to 2016, CFM announced in February that total LEAP orders had surpassed 10,000 engines. 1,612 CFM56 engines were delivered in 2015, setting a production record (up from 1,560 in 2014). - Execution of the LEAP engine family development programme continues on track and on time. The LEAP-1A was certified in November 2015 by both the FAA and EASA. The flight test programme of the A320neo and A321neo is proceeding flawlessly to date with over 490 hours logged in 200 flights since May 19, 2015. Engine certification for the Leap-1B is on track. The flawless first flight of the 737 MAX on January 29, 2016 marked the start of a one-year flight test certification programme. The LEAP-1C engine certification continues on track. COMAC performed the roll-out of C919 on November 2, 2015 and the aircraft's first flight is planned later in 2016. 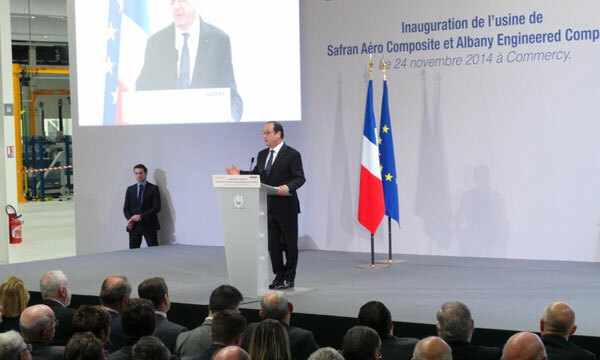 - Safran announced it will build a third plant for composite parts located in Queretaro, Mexico, in conjunction with Albany, to meet the rise in production rates requested by airframers, especially Boeing for the 737 MAX, and to enhance the efficiency of the global supply chain for the LEAP engine. The plant will start producing fan blades made of 3D woven composites at the end of 2017. - Rafale exports: Egypt and Qatar each decided to acquire 24 aircraft. Safran supplies key equipment and systems for the aircraft, notably the M88 engines, the FADEC, the landing and braking systems, the wiring, the inertial navigation system and the gyros for the fly-by-wire flight control system. As part of the Rafale's weapon suite, Safran also provides the AASM Hammer missile ordered by both nations. - Helicopter turbine developments proceeding to plan: the Arrius 2R powering the Bell Jet Ranger 505 X was certified by EASA at the end of 2015, paving the way for first commercial deliveries in 2016. Furthermore, the Airbus Helicopters H160 powered by Safran's Arrano 1A (sole source) completed its first flight successfully in January 2016 in line with schedule. 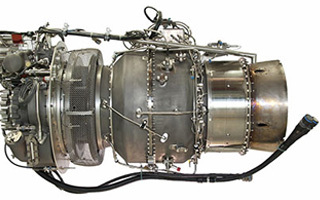 - Silvercrest engine: complementary developments to achieve desired specifications and a revised schedule have been agreed with Dassault Aviation. The revised schedule provides for engine certification 18 months later than the previous schedule, in line with the indication given in October 2015. On the basis of new programme assumptions, a one-off non-cash Euro (654) million charge has been taken related to the depreciation of programme-related tangible and intangible assets. 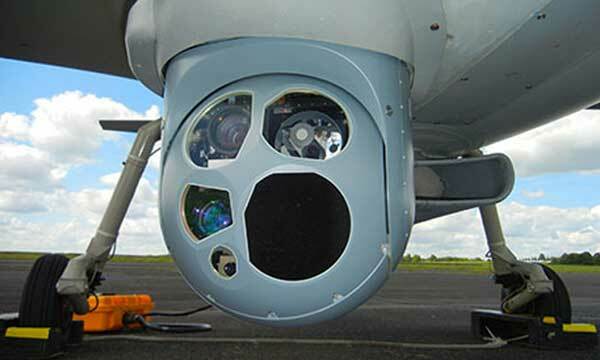 - Defence: the Patroller system, Safran's long endurance tactical drone, was selected by the French defence procurement agency (DGA). Safran will supply 14 Patroller systems with deliveries starting in 2018, as well as the related support activities. - The Security division maintained its leadership in civil identification thanks to its unique ability to deliver large-scale turnkey solutions as demonstrated in Albania or Chile. In 2015, Morpho commenced deployment of civil ID solutions to secure and ease elections in Ivory Coast, Chad and Egypt. Additionally, Morpho delivered more than 900 Itemizer 4DX trace detection systems to airports throughout Europe, allowing them to meet the requirements of new European legislation for enhanced screening of passengers.